Does your company prefer recruiting on an in-house basis instead of outsourcing a recruiter? When filling human resource needs and vacancies in your firm, here are some great reasons why its beneficial to use a professional recruiting agency. Something that is not at first obvious, is that many candidates may well be off the radar or not reachable. This is simply because they are currently employed elsewhere, possibly too busy and preoccupied to hunt for a new career opportunity, they may also not be currently responding to advertisements. Recruiters have a database with access to highly skilled people – this is a powerful resource. If your company decides to simply place an ad in the newspaper or online -the responses one may get from the ads, may in fact be from random applicants who could well be highly unsuited for the position. This could result in an enormous and time-consuming job of sifting through dozens or even hundreds of applications – of which the majority, may well be a complete waste of time. Using a professional recruiter means viewing only those applications that are worth considering. On hiring a recruitment company they will take the time to learn in detail information regarding the intrinsic values of your company – the psychology behind the firm and overall feel for the culture of the company. This needs to be conveyed to candidates in order to give them insight into the existing team to which they hope to be a part of. Some markets have a limited number of highly skilled candidates. There may well be a national shortage of qualified engineers for example. Recruiters usually possess a data base with existing access to highly skilled candidates for a number of roles. We have numerous skilled contacts – as this is our field, it is what we do best! Your company may feel they can focus their productivity elsewhere. Sifting through high numbers of potentially unsuitable candidates is counter productive -and time costs money. Hence it is generally believed, that companies prefer focusing on a short list of candidates that have already been approved and put forward by a professional recruiter. This short list therefore is less of a burden to the hiring managers making it easier for corporate managers to work through a selection process. Just because ‘someone else could cut the grass in the firm – does not mean they should. Let the professionals focus on where their energy is best utilised. While we focus on what we do best – Recruiting! It would be rare to hear that any company enjoys extra admin. A professional recruitment company such as Clearline Recruitment takes over the responsibility of letting unsuccessful candidates know they were not selected, providing general feedback to all candidates as well as prior verifying the accuracy of candidates qualifications, references, background checking and all other information. Your heap of admin duties will be greatly diminished! One needs to bare in mind, that making use of a recruiters services – you will save on the expense of running various potentionally expensive ads. Also, should the need to fill a position be urgent – there is nothing worse than a ‘bad hire’. This will result in low productivity and duplicating the hiring process. Leave the hiring process up to us – or let us help you with it to prevent this from happening. In closing, there are many benefits when using a professional recruitment company. We would like to say, that ultimately it gives access to strong talent that the client may have otherwise missed out on. 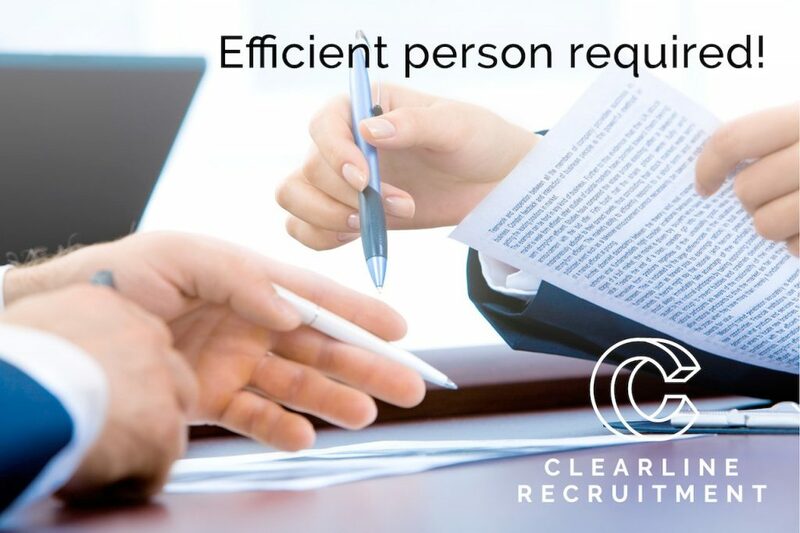 Be sure to get in touch with our team at Clearline Recruitment – we are a magnet for talent and would love to assist you!